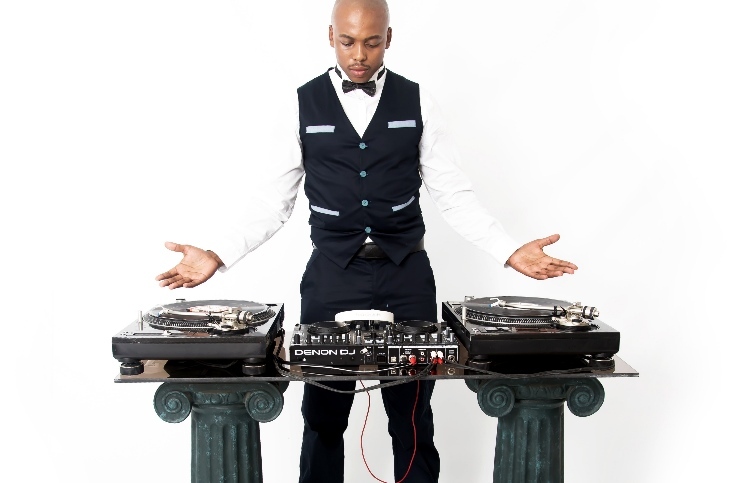 HIS smash hit single, Love Colour Spin is currently making airwaves and there is no stopping this 28-year-old producer and DJ, Mobi Dixon who recently signed a digital contract with Soul Candi. BEATMagazineSA met up with this humble DJ who comes across as being focused and knows what he wants. Unlike many other DJs, Mobi strongly believes education is the key to success and one should also equip themselves with the relevant set of skills. This former Selborne College pupil does not take what he does lightly and that is evident in the amount of time he puts into his work. Under his belt, this popular East London DJ holds a Sound Engineering diploma, two IT diplomas, Music Business and events management certificates. “I am a firm believer of education said Mobi Dixon”. When the hip hop evolution started in East London in the late 1990s, Mobi was one of the youngest beat makers in the city. Popular artists like Trusenz and Triple M were one of the few that used his beats. At some point of his life Mobi was also a rapper but the production side of things has always fascinated him. “Production is my 1st love followed by Djing.” When house music took the country by storm in the early 2000s Mobi started making house beats which circulated amoungst his friends all from his PC and headphones at home. In 2007, he started his own recording label, Dance is Kulcha Records and is still operating under that label and has his own studio at home. He said when he was still in Johannesburg he realised there were not many Eastern Cape DJs making noise in the industry. “I decided to come back and nurture unearthed talent in the Eastern Cape, I was not feeling our music presence nationally. I came across very talented people that I’ve worked with the likes of Asanda Msaki Lusaseni, Sipho Mtatse from Wise Fools, Unusual Suspects and Transkei Republic,”he said. While he was still a Sound Engineering student in 2008 he got his 1st big break when he won the AXE/DJU remix competition. He took the crown for the best remix out of over 500 delegates who were part of the Southern African Music Conference that year. “This was a major milestone in my career as I got more recognition and was introduced to DJ Sbu, Oskido and other DJU members Vinny Da Vinci, Greg Maloka, Christos and DJ Fresh.” This open doors for the youngster and he got the oppoortunity to start releasing his music and playing at bigger events. In 2012 Mobi was one of the fortunate producers and DJs around the province to receive a major boost from the DJ Oskido-I-believe initiative in partnership with the National Youth Development Agency. This empowerment programme equiped him with a better studio at his East London based premises. The three year initiative has also helped him with business development and management skils. Personal mentorship from Oskido has helped him learn the tricks of the trade and got him a licenising deal Vetkuk vs Mahoota. “My song Wezintsizwa blew up on the Oskido-I-Believe radio show and all it took was a call from Kalawa Jazmee boss Mahoota to get the deal.” Mobi Dixon was part of history in the making as Vetkuk and Mahoota’s album reached double platinum and is arguably the biggest house release out of 2012. In September this year Mobi signed a deal with South Africa’s leading house music record label Soul Candi. His debut digital EP under the stable “Tribal Soul” was released in September. The 3 song EP was released on the biggest downloaded sites in the world including iTunes, Traxsource and Amazon. September marked the month of DJ Mobi Dixon’s video shoot for his single Love Colour Spin, which features talented afro-soul artist Msaki. BEATMagazineSA was privileged to join the project headed by In-Sync Media and sponsored by Meyers Motors, Eastern Cape Audio Visual Centre and Exact Clothing. Although Mobi is a producer and DJ, he said he did not regret studying and equipping himself with all the relevant skills he has acquired over the years. “Even though I briefly worked in an IT office, all these things that I studied have played a significant role in my career. Everything I do revolves around my career. I work extra hard to get to where I want to be”. He plans to instil the same sentiments in his students as he embarks on a new venture to run Djing and music production courses at the newly founded Legends School of Contemporary Music in Berea. “I believe there is no need to wait to start giving back to my community.” His course “The Art of DJing” kicks off in November. When asked what he does for fun, Mobi said going to party was all about networking for him and making business relationships. If he is not Djing or producing, Mobi catches up on his series and movies. “I am a religious Generations and Isidingo fan,”he said. Watch out for Mobi’s Love Colour Spin this festive season. Follow him on Twitter @Mobi_Dixon and Facebook Mobi Dixon for the latest gigs in and around the province. His album is due for release next year and he plans to travel the country.